The Alberta Meat Market building on the corner of 5 Street and 6 Avenue South was built in 1922. 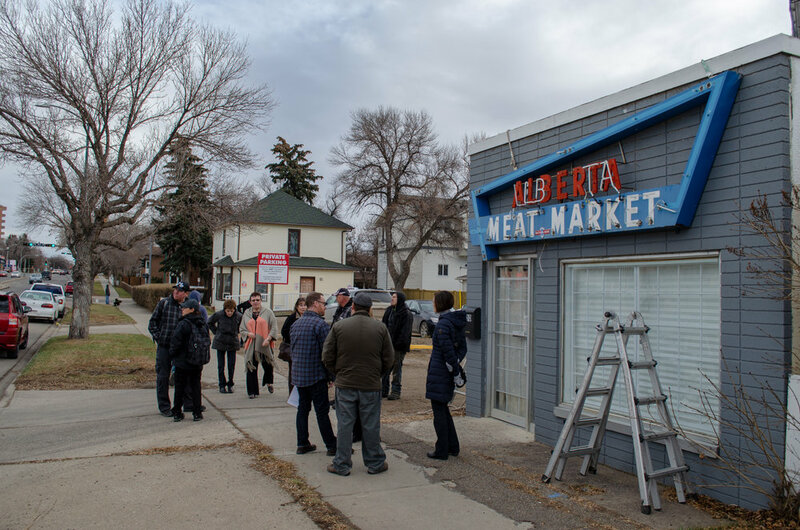 Generations of the Crighton family ran a meat market there for 90 years until it closed permanently in 2012. 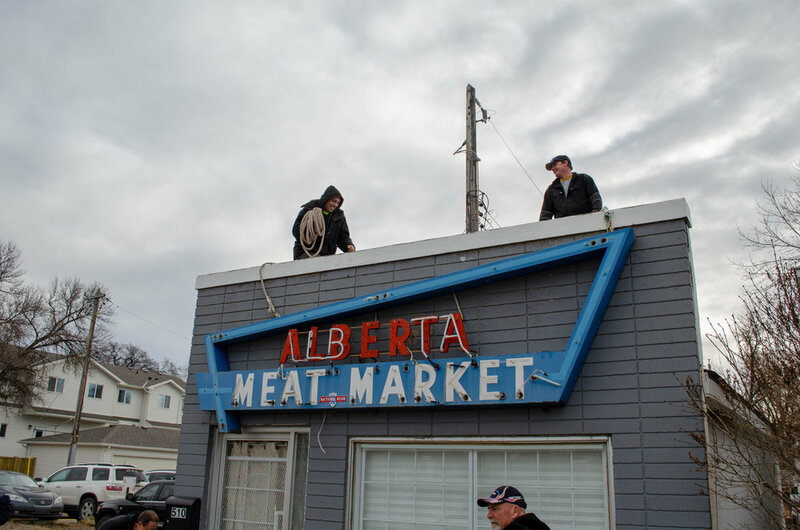 The iconic neon sign was installed in the 1950s by James “Jimmy” Crighton, the grandfather of Ken Crighton, the final owner of the Alberta Meat Market. 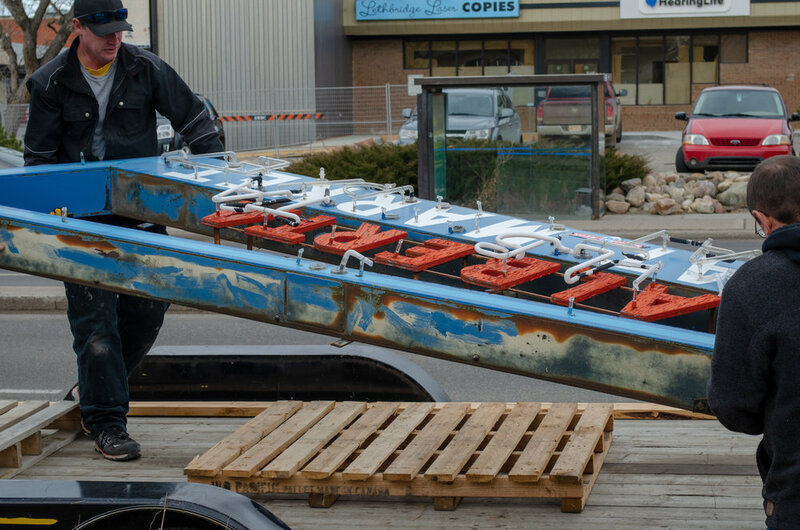 This neon sign is one of the very few left in Lethbridge from that period. 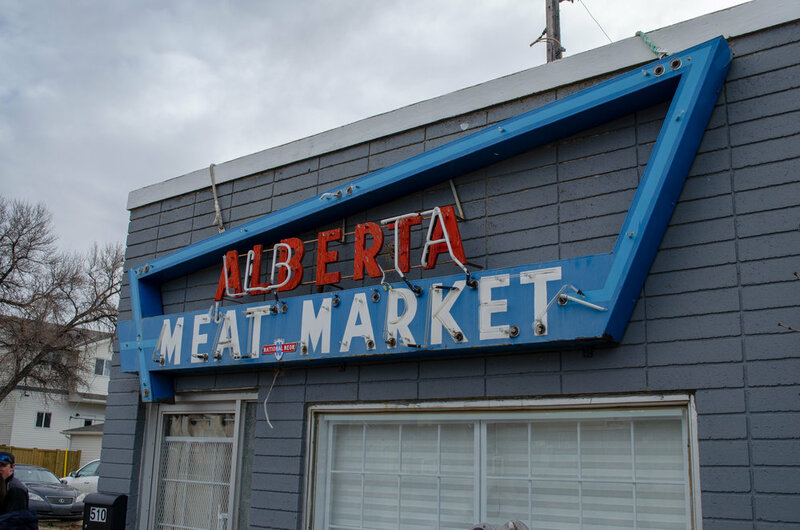 We are holding a press conference on November 22, 2018 at 1:00 pm at the site of the old Alberta Meat Market at 510 6 Avenue South which will coincide with the removal of the old sign by a contractor. We will have current business owner Chris Sirias, and members of the Crighton family, the previous owners, in attendance to speak to the significance of the sign. We will also have CEO Susan Burrows-Johnson, Curator Aimee Benoit, and Collections Technician Kevin MacLean in attendance to speak about and answer questions relating to the sign and the Galt’s role in preserving this piece of Lethbridge’s material history.